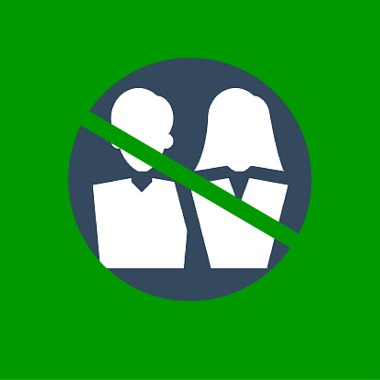 Deleting customers in QuickBooks…uh oh. QuickBooks Desktop and QuickBooks Online are among the top-rated accounting software packages in use by small businesses today, and if you’re reading this, there’s a good chance you use it too. But there’s also a good chance you’re using it not just to track your customer accounting, but also to track your leads. Uh oh. A lead is a potential customer that doesn’t have any accounting data (because they haven’t bought anything yet). Often, as you grow your business and collect more leads, business owners will keep track of them in QuickBooks. But here’s the bad news: if those leads have to be removed, you might end up in hot water. In QuickBooks Desktop, you can delete customers if they don’t have any transactions, and in QuickBooks Online, you can’t delete them at all! Now, here’s the good news: there’s a much better way to track leads without creating extra data entry for yourself, and without driving your accountant crazy. The answer? Using a CRM that syncs with QuickBooks (like Method!). A CRM is designed to help you keep track of all your business interactions (like following up with interested leads), freeing up your QuickBooks to take care of your accounting. Best of all, when your lead becomes a bonafide customer, the real-time sync will input the new customer directly into QuickBooks without you having to do it twice! Ta da! All your data in one place, and you’ll never have to delete customers from QuickBooks ever again. Did we mention you can try Method for free today? Give it a shot – your accountant will thank you.